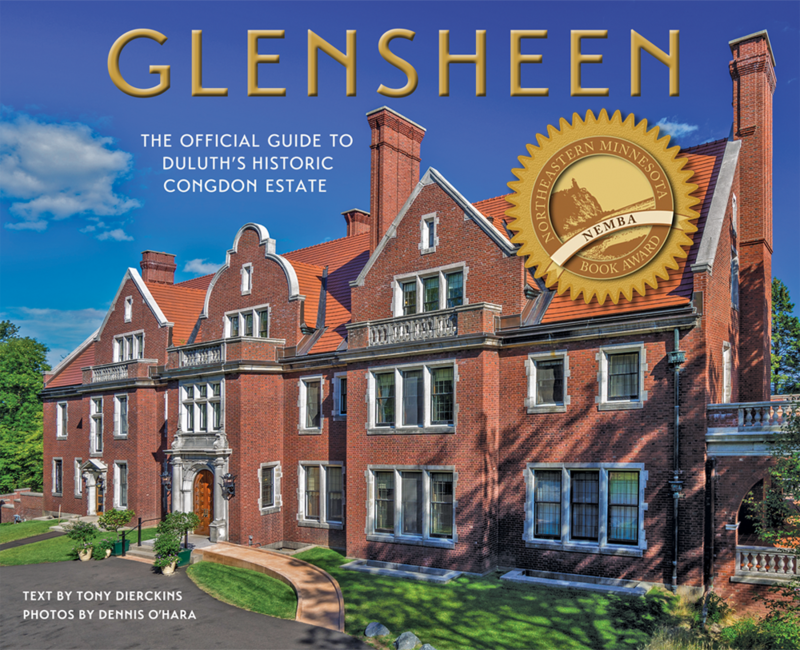 Dennis O’Hara’s Glensheen: The Official Guide to Duluth’s Historic Congdon Estate, published by Zenith City Press, won the Northeast Minnesota Book Award in the Art and Photography category at last night’s 29th-annual award program. Congratulations to Dennis, whose photographs of Glensheen and the grounds that surround it are the focus of the book and the reason it won the category. This is the third book Dennis and I have collaborated on, and I always feel fortunate when I get to write the text that accompanies his remarkable photos. I’ve long thought his work on Picture Duluth: Photographs of the Zenith City was deserving of a NEMBA, but the year that book came out the program skipped the Art & Photography category—so this recognition of Dennis’s work is particularly rewarding. Thanks to the University of Minnesota Duluth Kathryn A. Martin Library and everyone who helps make the NEMBAs happen each year. Visit Dennis’s Northern Images website to see his incredible photos of Duluth and the western Lake Superior region. A very deserving award to a great community citizen.